“More and more people are taking notice about where their food and drink comes from, and the impact it has on the environment. “All Bar One’s new sustainable wine selection, which is one of the biggest at any UK bar chain, delivers on not only protecting the planet, but also on taste! “The story behind each wine made us fall in love with the new range. We like to trust the people behind the product and with these wines we feel really great about what we were serving. 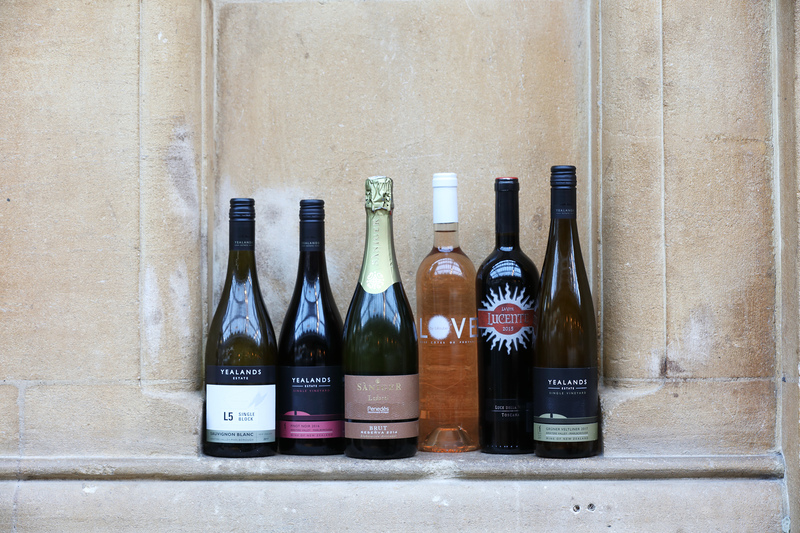 “From the UK exclusive on tap Rosé with a 100% recyclable keg, to a classic Sauvignon Blanc from New Zealand where animals roam free across the vineyard, every wine takes the guest on a journey back to nature. Focusing on a new chapter each week, wine fans will be tempted to more than just a glass of the seven different wines, enjoying each sip with a clear environmental conscience. •	Yealands Estate Grüner Veltliner, New Zealand, where solar panels produce 30% of the winery’s power. •	Yealands Estate Sauvignon Blanc, New Zealand, Baby Doll Sheep & Kune Kune pigs help keep the vine rows tidy without being able to reach the grapes. •	Love by Léoube Rosé, Provence, France, grown with a philosophy of working in harmony with the vines, hand-picked and grown through environmentally friendly farming. •	Hecht & Bannier Provence Rosé on tap (UK Exclusive), Provence, France, comes in a 100% recyclable keg from a vineyard where energy & water conservation is paramount. •	Lucente Super Tuscan, Tuscany, Italy, delivered by a family with 700 years of winemaking history behind them, they let the perfect balance of sun, soil and grape do their thing. •	Yealands Estate Pinot Noir, New Zealand, where the grapes are kept free of pests thanks to 100 free-range chickens, who also lay delicious eggs that are shared among the staff. •	Loxarel Saniger Cava, Spain, is produced in limited quantities, with harvest dates taking reference from the moon and the constellations. From the rolling hills of New Zealand where Baby Doll Sheep help keep the Yealands vineyard free of weeds, to a French Chateau using traditional green growing techniques, each of All Bar One’s sustainable wines bears fruit to its own environmentally benefitting story. To view the new All Bar One sustainable wine menu, click here: www.allbarone.co.uk/drink-faves#wines and follow @AllBarOne on Twitter and Instagram, and @AllBarOneBars on Facebook. •	All Bar One has a selection Gift Cards available to order online and send via email or text - or to purchase in person at any of our bars.